The Hay Festival 2018 was remarkable in many respects. 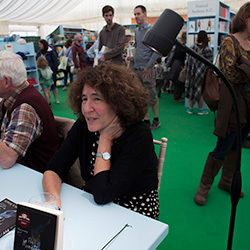 Not only were over 250,000 tickets sold in advance for the 31st Hay, it is estimated that well over 90,000 people attended the world’s best known Literary Festival during its 10 day period. More celebrities from all realms of the arts graced the various stages than ever before, and the sun shone… well, most of the time. In addition to all this, Serious Readers took twice the exhibition space we had last year, creating a small outdoor oasis indoors, and, perhaps more importantly, doubling the number of infamous sheds. 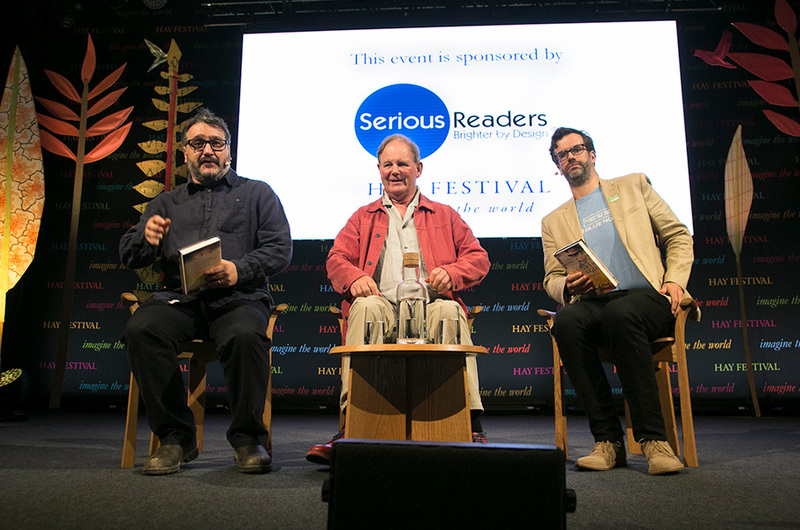 This year, we were honoured to sponsor Michael Morpurgo - he of War Horse fame – in discussion with Hay Festival Director Peter Lawrence. 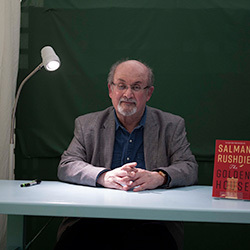 He gave a really interesting insight into the writing of his latest book Flamingo Boy. Set in the Camargue during World War Two, the book was inspired by his grandson. 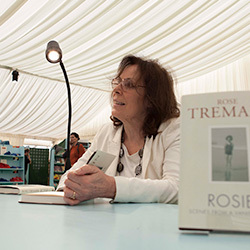 In addition, Serious Readers sponsored a book-signing session, featuring over 20 authors in a wide range of genres, from Rose Tremain to Francesca Simon and Salman Rushdie. 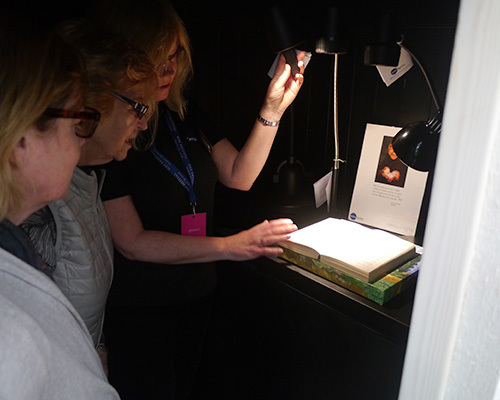 At last year’s Hay, we found that visitors loved to enter our intriguing shed to see the incredible difference our lights make in a darkened environment. So this year we built two – and the results were quite staggering. 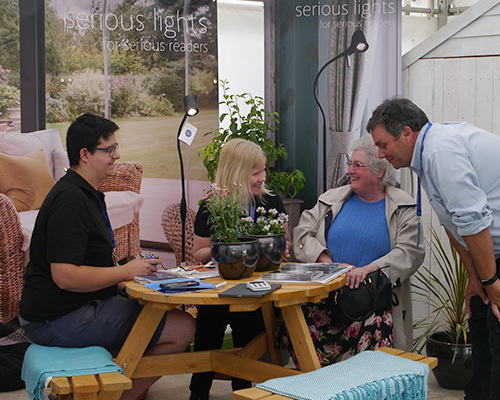 To date we have received 150 orders from people who visited our stand, with more to come in the next few weeks. This number is already double the number of orders from last year. Once again, the success of Hay is tribute to the work of all involved. 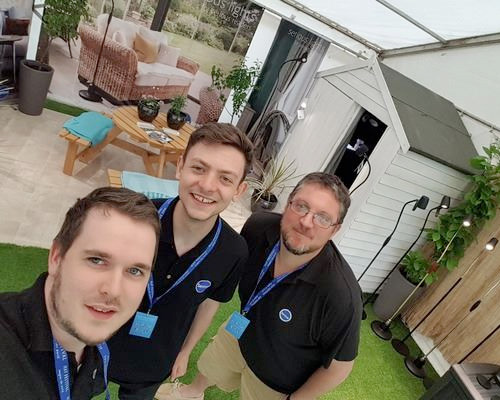 As well as physically building and manning the stand for the duration of the show, there is also a huge amount of behind the scenes work including logistics, design work, and social media campaigning. Let’s hope next year is as good as this.